Sympathy flowers have been proven to offer care and comfort during the grieving process, and can help with healing. Whether traditional or modern, these arrangements help celebrate the life of a friend, family member of loved one with elegance and grace. Not only do sympathy flower arrangements provide feelings of comfort and warmth to the bereaved, but they also brighten up a somber environment and provide a diversion during the service for the family and visitors. The colors in the funeral flower arrangement you select can carry special meaning when conveying sympathy. White flowers symbolize peace and purity. Red blooms express feelings of love, respect and courage. Pastel flowers tend to personify feminine style, while deeper hued blooms lean towards the masculine. If you are unsure about which flowers to order, please contact our Specialty Sympathy Advisors or your local funeral director. Sympathy flowers are usually floral arrangements that are prepared by florists and delivered to the home of the grieving family. Sending sympathy gifts or funeral flowers is a beautiful way to show how much you care during this difficult time. Not only do they express sympathy for the family, they can celebrate the life of the person who has passed away. Sympathy flowers and gift cards are often ranked as some of the most meaningful gifts by those who have lost a friend or family member. Sympathy flower arrangements are definitely an excellent choice for providing some beauty at this most somber of times. Giving sympathy flowers allows you to express your own personality and feelings while providing a thoughtful gift. 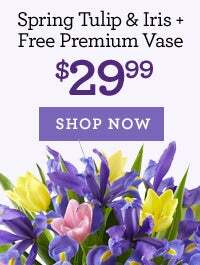 Sympathy flower arrangements come in a variety of styles, containers and colors. All-white sympathy flowers are some of the most popular arrangements as the color white is associated with respect, elegance and sophistication. Choosing the all-white lily bouquet allows you to show your admiration for the deceased with a beautiful sympathy flower arrangement, as well as providing a rich fragrance that fills the air. Traditional sympathy bouquets of all white roses express tributes with understated elegance. Color can be added to the sympathy flower arrangement by either choosing an arrangement made from colorful blooms, or choosing a container with color. White sympathy arrangements can also be enhanced by the addition of some color. You could also select a sympathy arrangement with stunning white lilies, light pink roses and a deep green leaf ribbon lined vase. Adding blue flowers to your sympathy arrangement provides a feeling of calm, comfort and faith to your gift. Only the freshest flowers are used and they are hand gathered by expert florists to provide sympathy bouquets that are a sensory delight. These flowers can be conveniently ordered online and sent in a gift box to grieving friends or family.